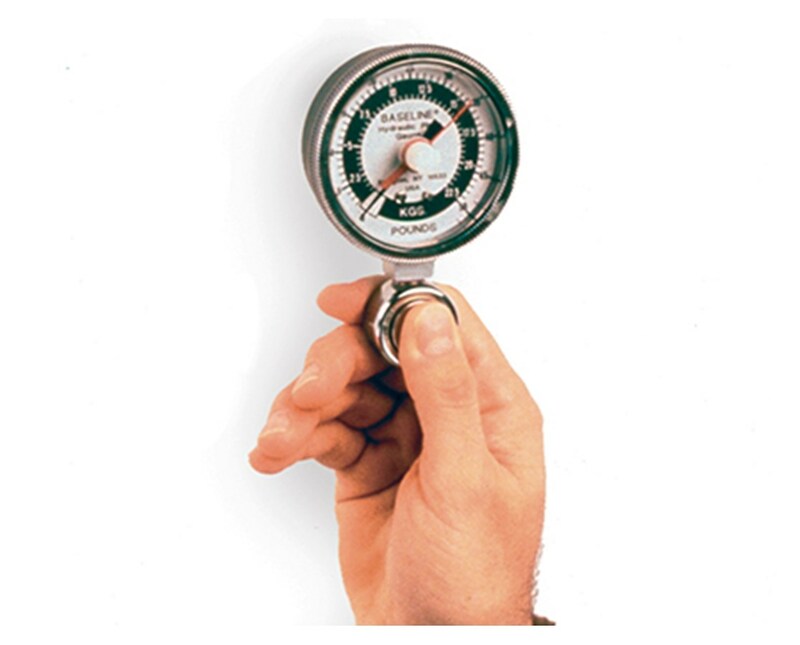 The Hausmann Industries Standard Hydraulic 50-pound Pinch Gauge is a medical device designed to correctly measure a patient's pinch strength. It helps doctors or physical therapists determine strength in routine screenings and to initially evaluate a patient's hand dysfunction or trauma. 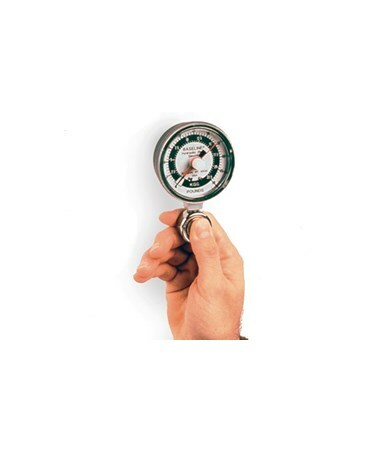 Made with time-proven, hydraulic system with analog (dial) readout, the Standard Hydraulic 50-pound Pinch Gauge will have its maximum reading remain until reset. Its strength measurement reads in both lbs. and kg. The Hausmann Industries Standard Hydraulic 50-pound Pinch Gauge comes with a 2.5" Dia., a portable carrying case, a 3-Year Warranty and is made in the USA.